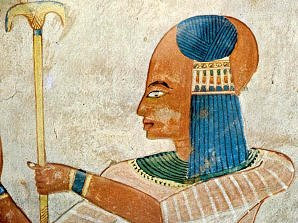 (It should be noted that those of the pharaohs’ offspring who died in childhood were also buried in the Valley of the Queens). 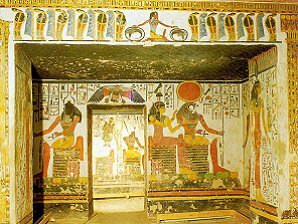 The decoration in this tomb intended for the son of Ramses III is exceptional both for the brilliance and the intensity of the colour which is dominated by a magnificent ultramarine blue. 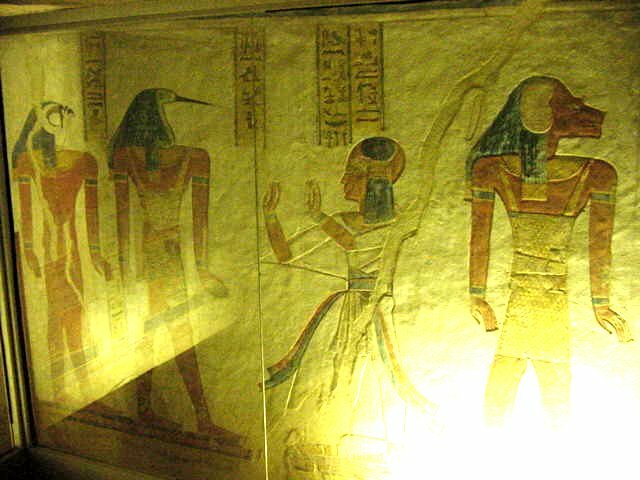 In the first room we see the Pharaoh presenting his son to various gods, Thot, Ptah and the four sons of Horus (Hapi, Amset, Duamutef and Keben- senuf). The latter four gods after taking part in the rite of mummification of Osiris with Anubis became the patrons of the canopic jars.